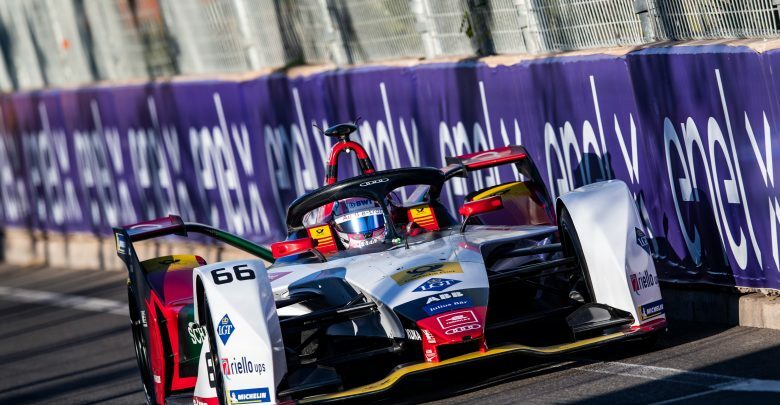 Audi Sport Abt Schaeffler’s test and reserve driver Nico Mueller topped the Formula E Marrakesh rookie test. Super GT racer James Rossiter, who took part in the test last year, led the early stages of the morning session for DS Techeetah on a 1:19.395 with Mueller, last year’s fastest time-setter, 0.432 seconds behind. Mueller then went to top, lowering the benchmark by 0.906 seconds. BMW DTM driver Bruno Spengler then set a 1:18.240 in the BMW Andretti before Mueller put in a qualifying simulation time of 1:17.532 to be fastest of the morning. His time went unmatched until a flurry of qualifying simulations towards the end of the session, with Mueller lowering his time to a 1:17.074, 0.1 seconds ahead of Rossiter in second. Rossiter brought out the red flags when he stopped on track and spent the afternoon session switching between both cars as Techeetah elected not to run Tatiana Calderon, who was sixth quickest in the overall times, in the afternoon. Geox Dragon reserve driver Antonio Fuoco was third. 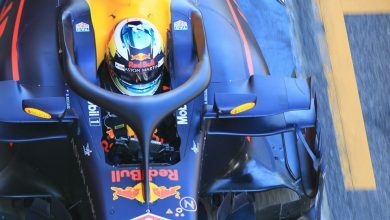 He ran solo in the team which was also due to be running ex-Formula 1 driver Felipe Nasr, but supposed contractual issues prevented him from participating. 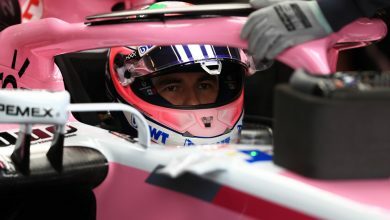 ART Formula 2 racer Nyck de Vries was fourth fastest, after losing most of the morning session after he damaged his Envision Virgin Racing car on a sausage kerb, ahead of Nissan e.dams’ simulator driver Jann Mardenborough. Spengler ended the session in seventh, 0.7 seconds behind Mueller, ahead of Mercedes Blancpain GT driver Raffaele Marciello, who stopped on track with five minutes of the session remaining, meaning the day’s running ended under red flag conditions. 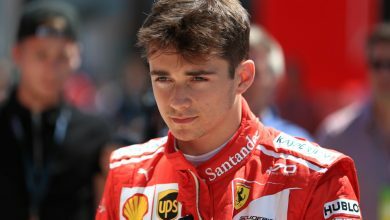 Arthur Leclerc, brother of 2019 Ferrari F1 driver Charles, was ninth ahead of his fellow Venturi driver Norman Nato, who also brought out a red flag after stopping with a transmission issue. Daniel Juncadella, taking part in his second test for HWA after taking part in Valencia pre-season testing, also brought out a red flag. He suffered the same electric shutdown Stoffel Vandoorne did in qualifying during Saturday’s Marrakesh event. Ex-Williams F1 driver Sergey Sirotkin was 11th in the Mahindra, one second off the lead time, ahead of the team’s simulator and development driver Sam Dejonghe. GP3 race winner Jake Hughes took part in the test for NIO and was 19th fastest. Jamie Chadwick, who ran for the team in the Ad Diriyah test, was hit with more technical issues on her car that prevented her from completing much meaningful running.